There's nothing like a good hot bowl of oatmeal in the morning when you're out camping especially on a chilly morning and you're warming your bones by the fire with a nice hot cup of coffee. It fills your belly and warms your soul. Most days it's usually just a packet of instant oatmeal, unless you're a culinary wizard with a dehydrator and have bagged your own recipe. 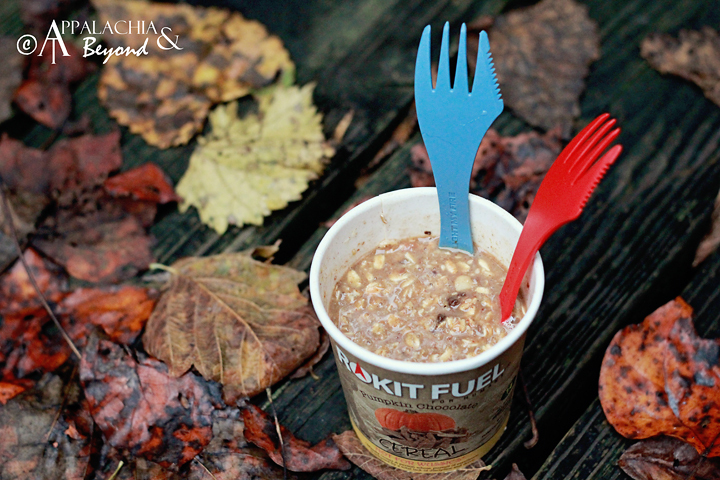 Of course if you want something other than plain old instant oatmeal packets you can always try out Rokit Fuel oatmeal. 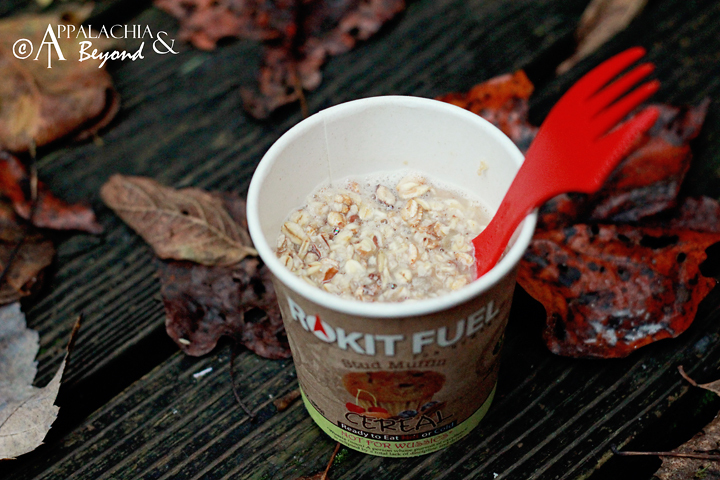 Rokit fuel oatmeal is an all natural alternative to regular instant oatmeal. 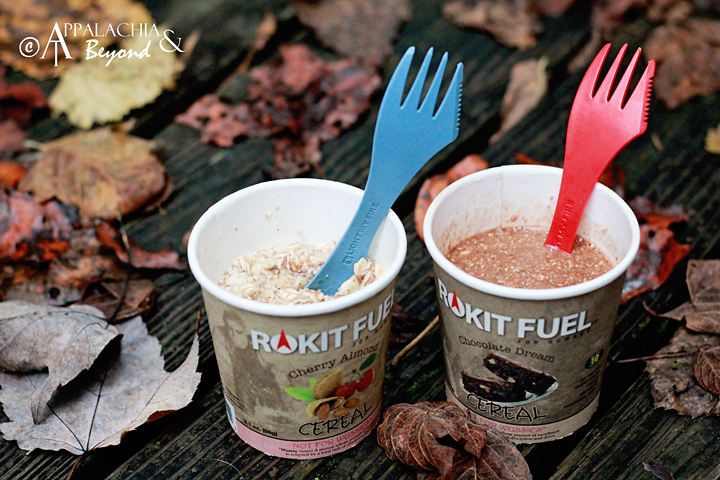 Rokit Fuel Oatmeals are made with anywhere from 7 to 15 whole foods. There are no soy, dairy or other isolate products and are all natural and fit for a vegan. 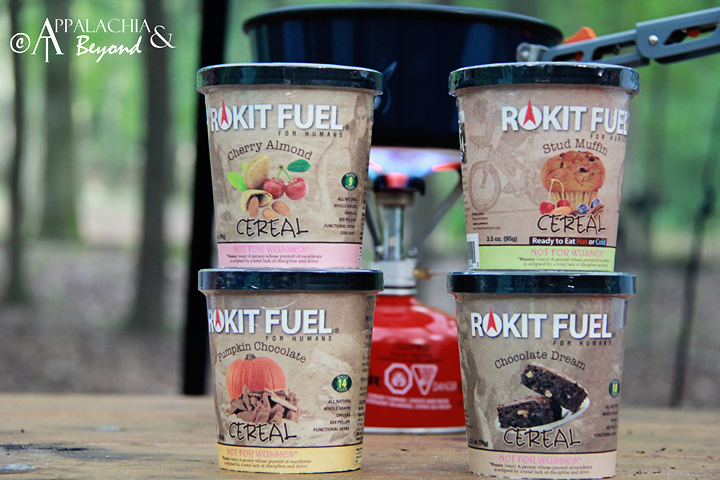 Rokit Fuel oatmeal comes in 4 different flavors of which we had the opportunity to try all four. Cherry Almond, Chocolate Dream, Stud Muffin, and Pumpkin Chocolate. The names themselves can provide you with all sorts of imagery that would delight anyone's pallet. We were looking forward to trying them out when they arrived. We received all 4 flavors in individual cups that had see through lids. Another way of tickling your pallet prior to eating. 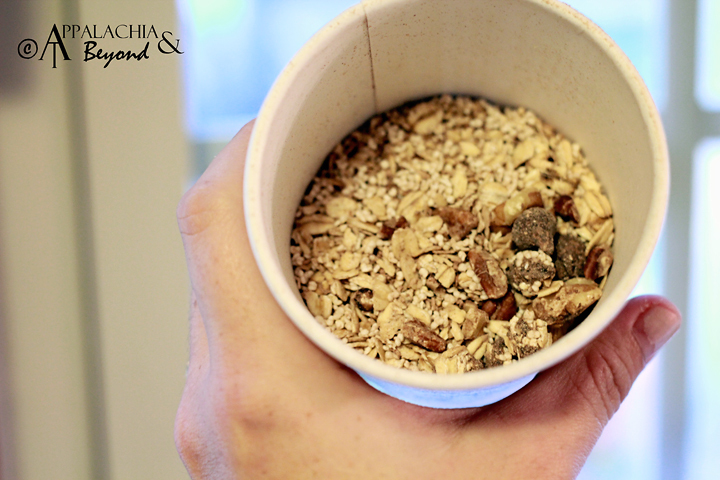 The ingredients of each looked quite scrumptious, rolled and milled oats, almonds, cherries, flax seeds, etc. We couldn't wait to dig in. There are a few different recommendations on how to prepare the oatmeals including hot or cold, with milk instead of water, as a topping on your yogurt or any other healthy dessert, or blended in with a smoothie. We of course opted to just have them as breakfast with hot water to prepare them. Preparation is simple especially with the individual cups. All you have to do, is heat some water, remove the lids from the cups and pour your hot water in. If you wish, you can add other things. We opted to try them in the natural state and not defile them with any decadent ingredients. There ya have it, Rokit Fuel Oatmeal, as their saying goes, "Not for Wussies". 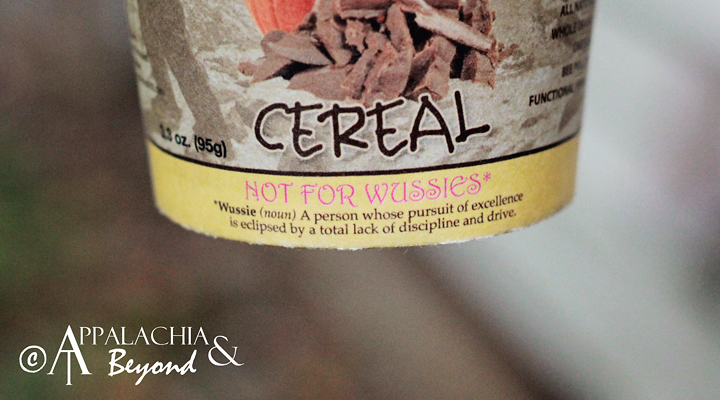 If it's the Chocolate Dream then we are "Wussies" with that flavor. The others are definitely worth trying and having again. They will also make for great backpacking breakfasts too. Wait, what's that? You really want to try some Rokit Fuel? 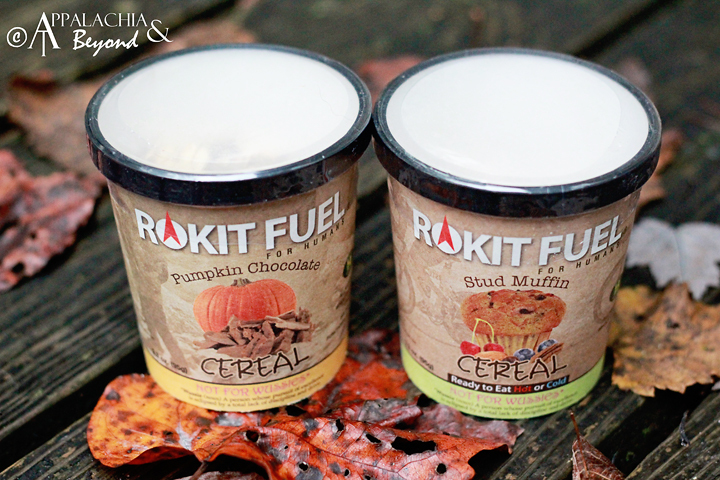 You're in luck, we actually happen to have a 4 pack of Rokit Fuel complete with 1 of each flavor for you to try. Check back tomorrow for all the details and enter to win. 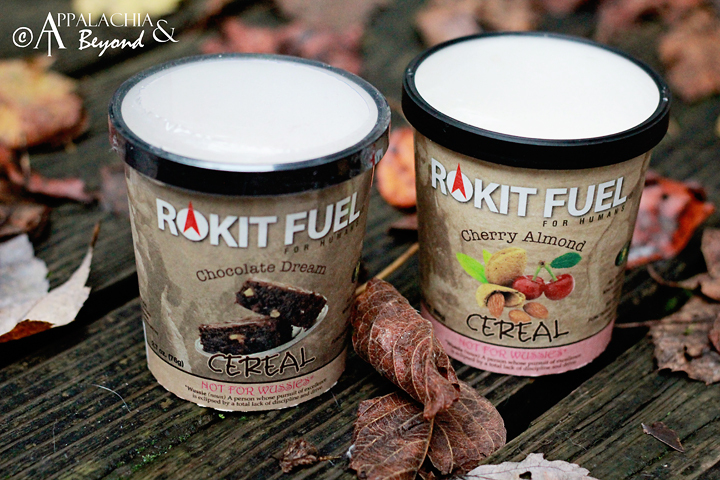 Disclaimer: Tim and Robin received the Rokit Fuel Oatmeal from Rokit Fuel for review purposes only. Appalachia & Beyond is in no way affiliated with Rokit Fuel and are not being compensated by Rokit Fuel for this review. The opinions expressed above are Tim's and Robin's independent thoughts and experiences.